Tech-savvy young media producers are boosting the Islamic State’s allure with increasingly competent presentation skills and graphics to enhance the brutal videos that have long been a staple. A video-game ethos is part of the picture. In 2004, a video was released on a jihadist web site hosted in Malaysia. Its introduction was a title screen with a faint, off-white text on a black background. “Sheik Abu Musab al-Zarqawi slaughters an American infidel with his hands and promises Bush more,” the text said. The video goes on to show five masked men in a white room with American freelance radio-tower repairman Nicholas Evan Berg kneeling before them. He’s wearing an orange jumpsuit similar to that worn by the prisoners detained by the Americans at the Guantanamo Bay detention camp. Nick Berg states his name, mentions the names of his parents and siblings, and says he is from West Chester, Pennsylvania. “How can a free Muslim sleep soundly while Islam is being slaughtered, its honour bleeding and the images of shame in the news of the Satanic abuse of the Muslim men and women in the prison of Abu Ghraib. Where is your zeal and where is the anger for the religion of God? And where is the jealousy over the honour of the Muslims and where is the revenge for the honour of Muslim men and women in the prisons of the Crusaders? He continues by asking if the scholars aren’t fed up with “the jihad of conferences and the battles of sermons”. “God is great”, the man yells, and the five men throw themselves at their prisoner, holding him down, cutting his head off with a knife. The bloodcurdling sounds are no longer in sync with the pixelated, grainy and still very horrible images. A screenshot from “Healing the believers’ chest”. This spring, 11 years later, a video was released by the self-declared Islamic State, a group which originated in Abu al-Zarqawi’s Iraq-based network. The film is called “Healing the Believers’ Chests” and is 22 minutes long. 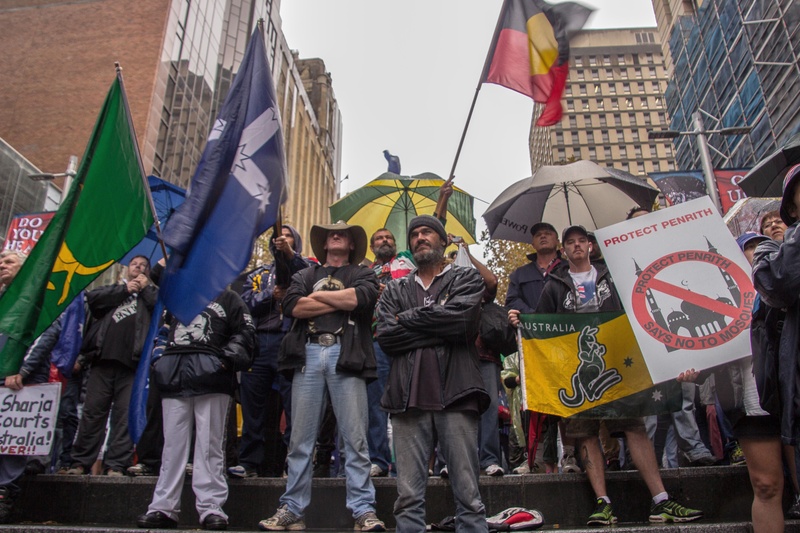 In the upper left corner, an animated version of the group’s black and white flag waves. The video images are sharp, and have been enhanced with effects easily recognized from modern television and ­– strikingly – video games. The voice of a narrator is accompanied background music: nasheeds, Islamic vocal chants. The main focus of the video is Jordanian pilot Muath al-Kaseasbeh being burned alive in a metal cage. However, it also has clips of al-Kaseasbeh talking, in the style of an interview with varying camera angles and effects. These clips are mixed with pictures from hospitals, showing injured children, images obviously intended to leave the viewer with the impression that the victims had been injured in bomb attacks targeting the Islamic State, bomb attacks involving the Jordanian air force. Pictures of dead victims follow. Flames roll across the screen, repeatedly. Then the film shows al-Kaseasbeh, forced to walk through a bombed-out city landscape, surrounded by heavily armed, masked men, with scenes cut together with footage taken by action cameras, footage showing work to rescue bombing victims, seemingly recorded in the same landscape. The video ends with video game-like pictures declaring that other “Crusade pilots” are wanted. Both films, of course, show us horrible murders carried out by a militant group of extreme Islamists. However, they also tell us a different story, a story about the development of the IS propaganda apparatus. “There is a very clear and very significant increase in the quality of production,” says Christopher Anzalone, a researcher at Canada’s McGill University, pointing at both the clarity of much of the footage and the incorporation of soundtracks using nasheed chants, as well as film effects. He also points to a streamlining of narratives, particularly in films of longer length. “Early Jama’at al-Tawhid and al-Qaeda Iraq films were quite rough in terms of the quality of the footage and, although they also used nasheeds and had narrative structures, they were nowhere near as polished as the current IS films and media materials,” he says. The English-language magazine of the self-declared Islamic State, Dabiq. 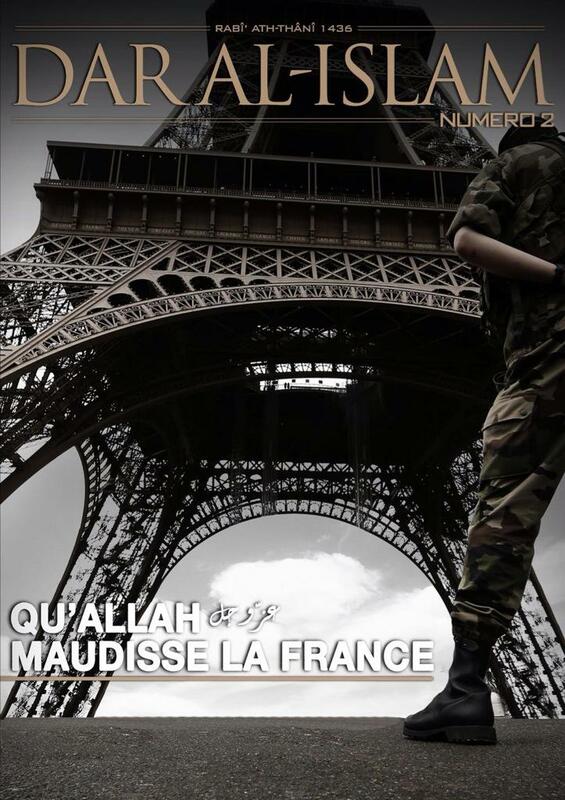 French language propaganda from IS. The founder of IS’ predecessor group Tawhid wal-Jihad, Abu al-Zarqawi – actually named Ahmad Fadhil Nazzal al-Khalayah – was also concerned with communication. 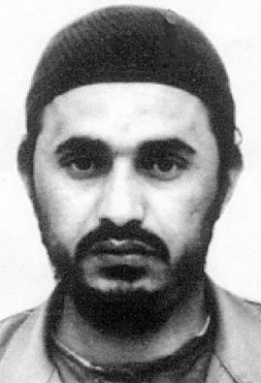 In younger years, Abu al-Zarqawi was a petty criminal in his Jordanian hometown of Zarqa. Then he turned to radical Islamism, and left for Afghanistan. As one of the so-called ‘Afghan Arabs’, he took part in the fight against the Soviet occupation of the country in the 1980s. At first, he was not a fighter. Instead, the young Jordanian worked as a reporter for a small magazine named al-Bunyan al-Marsous, or ‘the Strong Wall’. The magazine was published in the Pakistani city of Peshawar and brought news in both Urdu and Arabic, with the Islamist fighters in Afghanistan as their target audience. It was before the days of the World Wide Web, and the magazine was distributed as a traditional print publication. To the Islamic State, however, the Internet is crucial. Its propaganda is spread through social media platforms, video sites and electronic magazines. For a while, the English-language version was even accessible through the Internet bookstore Amazon. IS media operators – most of them probably fairly young – are more tech savvy than their predecessors, use more modern imagery, and their magazines feature better graphic design; simple, yet somewhat sleek. Journalist Mah-Rukh Ali, a news anchor at Norway’s main commercial television channel, TV2, recently published the book Trusselen frå IS. Terror, propaganda og ideologi (The IS threat: Terror, propaganda and ideology). In her opinion, both journalists and researchers often make IS propaganda sound better than it is. She sees “shock effect” as an important part of IS propaganda. As a recent example, he points to a series of propaganda videos on refugees, in which the Islamic State warns Syrians not to seek refuge in Europe but rather to remain or seek out their self-declared caliphate. State or nation building is a central point in Islamic State propaganda, as two recent examples attest. In mid-November, a media unit called al-Furat released a video called “En Mujahids Eid”, Swedish for “The Eid of a Mujahideen”. The film focuses on the celebration of Eid, and while it includes jokes about butchering not only sheep but also disbelievers, the focus is on the end of Ramadan celebration, on community, on happy children and on handing out food to poor people. The Scandinavian film also features spoken Swedish, with at least eight people with connections to Sweden pictured. Seven of the eight are from the southern Sweden city of Gothenburg. The message? Muslims should come to the self-declared Islamic State, rather than living their lives amongst the kuffar, the disbelievers. It is a message often repeated in IS propaganda. In late November another video summarizing several central points in IS propaganda was launched, in English, Arabic and several other languages. Titled “No Respite”, the video has a film-trailer style voice and some effects that bring video games to mind. The booming voiceover with an American accent brags about the size of the self-declared caliphate and its system of rule, mocks America, attacks nationalism, portrays the Islamic State as anti-racist, and says that it is counting the banners of its enemies. “Bring it on,” the voiceover says, promising that the “flames of war will burn you on the hills of Dabiq”. 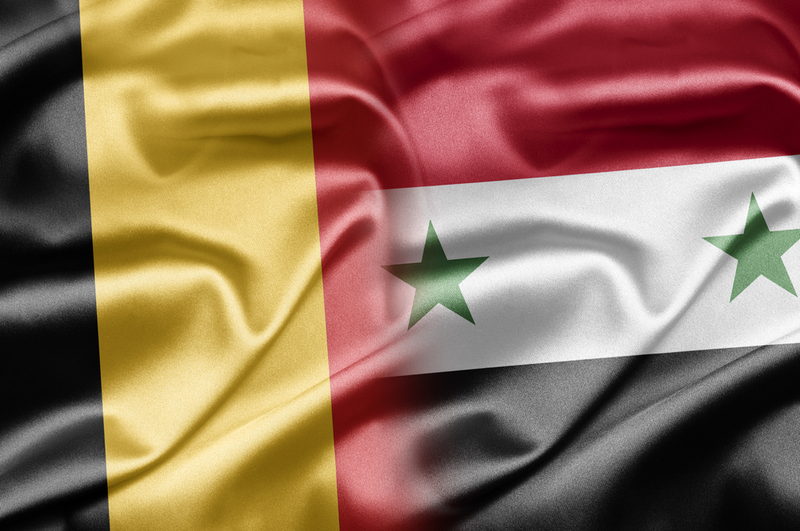 State building is a theme often seen in IS propaganda. Here: propaganda focusing on the introduction of the gold dinar. Dabiq is the name of a small town in north-western Syria, just a few kilometres from the Turkish border. Once, a deciding battle between the Ottomans and the Mamluks took place there. In Islamic eschatology, the town is also mentioned as the place where an important battle between “the Romans” and an “army consisting of the best of the people of the Earth” is will take place before Judgment Day. “The Islamic State produces different kinds of media, such as videos, audio messages and magazines,” says Nanninga. He points out that they produce much more material than earlier jihadist organizations. 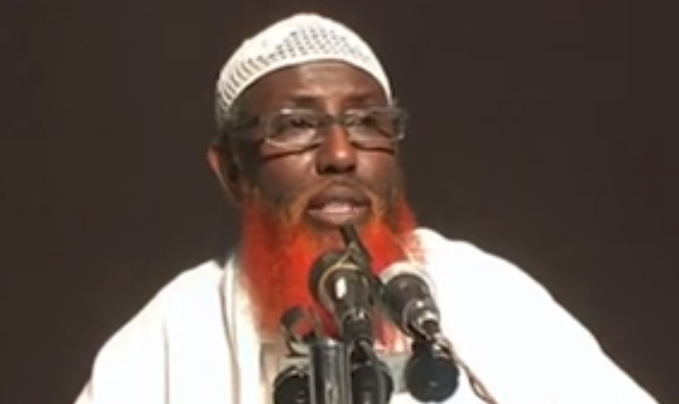 “Their most important media branch is al-Furqān Media, which produces the most important videos. Al-Hayat is another important one, which publishes mostly in English and focuses on an international and Western audience. This outlet also produces Dabiq magazine. 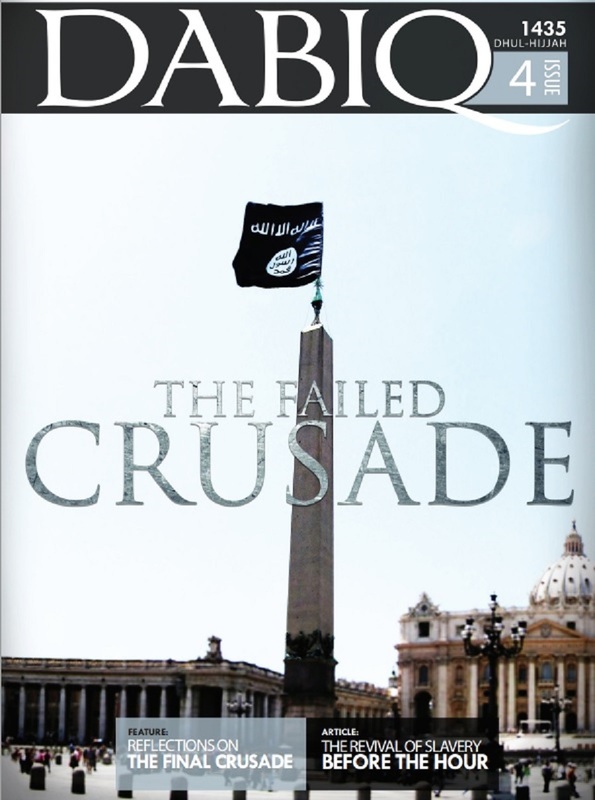 The Islamic State expects Dabiq to be the site of the final battle between it and “the Coalition of the Devil”. 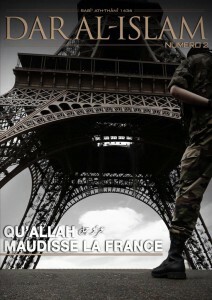 The use of Dabiq in the video “No Respite” and as the name of the organization’s most important electronic magazine is hardly accidental. It underscores the Islamic State’s belief that the apocalypse is approaching. Anzalone points out how key Dabiq articles are then translated into other languages, including German, Arabic, Russian and Indonesian, either officially by an IS media organ or by other publications and individuals supporting the group. “Many of the articles in the French-language IS publication Dar al-Islam were first published in English, for instance,” he says. In addition to films, magazines and pamphlets, IS actively spreads photographs. 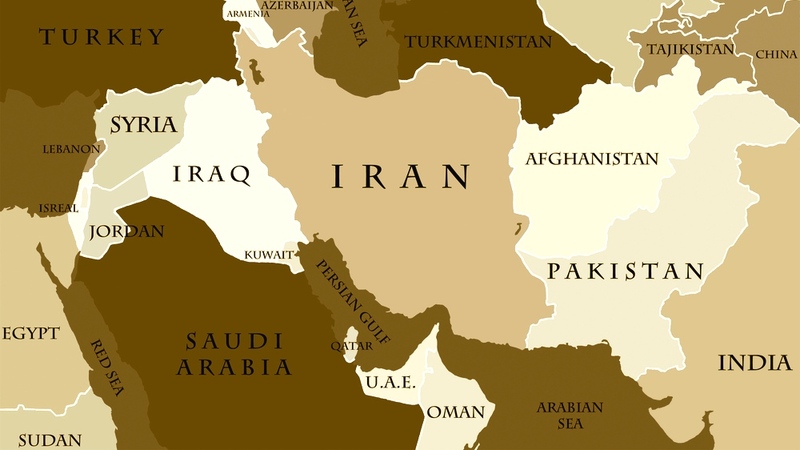 Here, production is carried out on a regional level, through the media offices of the so-called wilayats of the Islamic State. “Thousands of official photographs are released online,” Anzalone says. He archives photographs spread by the group, and when HSI spoke to him in October he had assembled more than 27,000 since 2014. Furthermore, the Islamic State has started producing its own original nasheeds for use in propaganda, launching “music videos” in Arabic, but also in other languages – including Uyghur, German, French and Turkish. Providers have increasingly clamped down on pro-IS and IS-affiliated accounts, but IS supporters and media operatives have been countering this by creating a steady stream of new accounts. In short, social media function as a springboard, allowing the IS to get its message out. It may not be sophisticated, but it is effective. Parts of this article were published in the Norwegian weekly newspaper Morgenbladet.